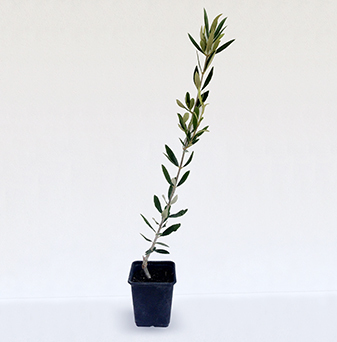 The ‘Alberquina’ variety olive tree, which originates from Arbeca (Tarragona), is the traditional ‘Arbequina’ variety. It is very productive and has early production. It is considered to be rustic, frost resistant and very adaptable to different climate and ground conditions. It has a relatively reduced capacity, allows higher density planting which are more vigorous than other conreos. It is recognised as one of the best varieties for oil extraction. The maturity date is medium from the first half of November. The fruits are small and spherical and are in bunches. When maturing they are black without lenticels on the fruits’ skin. The shape of the apex is rounded with a broad stalk cavity. It is self-fertile. Its fruits do not ripen simultaneously and has an average peel strength. 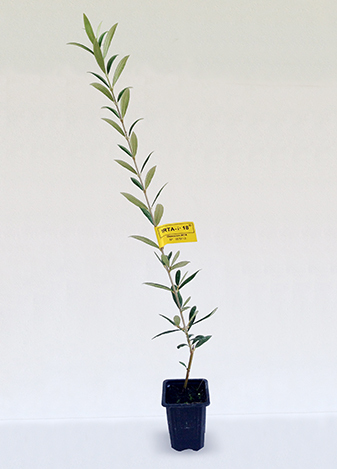 The olive variety ‘Arbequina IRTA i-18’ is a clone obtained from the IRTA, as a result of clone selection of the variety “Arbequina”. – Has varietal health and security, certified by the Dept. of Agriculture, Food and Rural Action of the Generalitat of Catalonia. Very productive variety which has early production and low alternation. It’s considered to be rustic, frost-resistant and adaptable to different climate and ground conditions. Very adaptable to intensive and high density plantations. Its semi straight transportation eases the formation in the central axis. It produces medium-fruit virgin oil which is balanced on the palate and highlights the sweet attributes it has, something much appreciated by new consumers. It can be marketed as a single varietal or blended with other oils. Early aging and major production per tree. Better adaptation to the kerb formation system and the semi-straight transportation which eases mechanical harvesting. Oils which are richer in oleic and are more sensorial balanced. 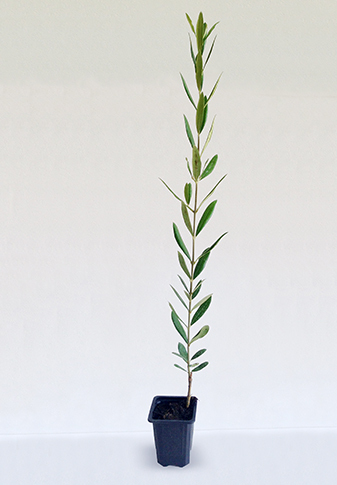 The ‘Arbosana’ variety is early production and high productivity. 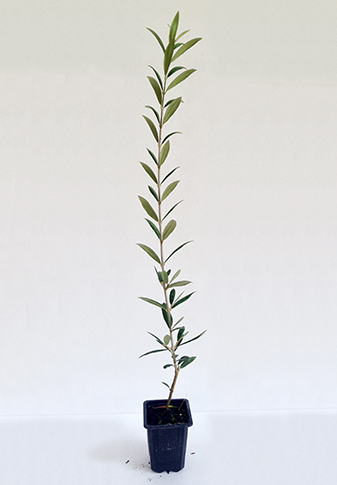 Due to its lack in vigour, it is very well suited to high-density plantings. Sensitive to the cold, its small fruit matures various weeks after the ‘Arbequinas’s’. It produces an intense green fruitiness Virgin oil with high levels of bitterness which is pungent and astringent. 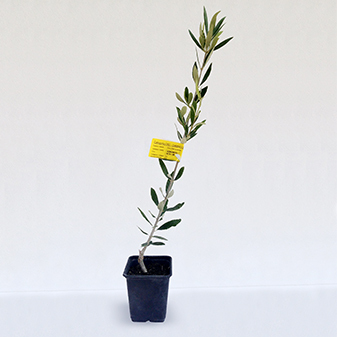 The olive tree variety ‘Arbosana IRTA i-43’ is a clone of the IRTA from research on cultivating the olive tree “Arbosana” in the ‘Alt Penedès’ area, (Barcelona). It has varietal and health guarantee, certified by the Agriculture, Food and Rural Action Department of the Generalitat of Catalonia. Early production and high productivity variety. Due to its lack in vigour, it is very well suited to high-density plantings. Sensitive to the cold, its small fruit matures various weeks after the ‘Arbequinas’s’. It produces an intense green fruitiness Virgin oil with high levels of bitterness which is pungent and astringent. The ‘Koroneiki’ variety is the main variety of oil production in Greece. Productive and early production. It is considered to be drought-resistant but sensitive to the cold. Tolerant to “repilo” (Spilocaea oleagina). Very small fruit that ripens between the ripening period of both the ‘Arbequina’ and ‘Arbosana’ varieties. It produces virgin oils that are more appreciated commercially, with and intense green colour and very rich in oleic acid, polyphenols and bitter compounds that forms a long life. Main variety of oil production in Greece. It has varietal and health guarantee, certified by the Agriculture, Food and Rural Action Department of the Generalitat of Catalonia. Main variety of oil production in Greece. Productive and early production. It is considered to be drought-resistant but sensitive to the cold. Tolerant to “repilo” (Spilocaea oleagina). Very small fruit that ripens between the ripening period of the Arbequina and Arbosana’ variety. It produces virgin oils that are more appreciated commercially, with and intense green colour and very rich in oleic acid, polyphenols and bitter compounds that forms a long life.